Neal Fraser, a.k.a. Mad Professor, says there’s good in both old and new dub music. In the beginning there was dub. Well, in the beginning there was reggae. But from the early 1970s in Jamaica, sound engineers led by now-historic figures such as King Tubby stepped out of the shadows and became performers in their own right. Using controllers, mixers, and effects, they generated a spaced-out alter ego to reggae, usually shorn of vocals and underpinned by extra-heavy lines of pulsating bass. Naturally, dub quickly traveled alongside reggae to the United Kingdom, where it roosted and spread out. Second-wave masters like Adrian Sherwood with his On-U Sound system and Neal Fraser, a.k.a. Mad Professor, developed new techniques and performance styles and began making dub mixes of other styles of music. But dub itself, at least the deep stuff, remained a specialty culture despite finding fans around the world. The physically aggressive bass throb and low importance given to lyrics almost ensured it would stay that way. Meanwhile, club music exploded into the cornucopia we now know - house, techno, jungle, drum, and bass, garage, grime, and endless subgenres and regional variants. Now, though, at least one major trend in electronic music is coming full circle. At least that’s the argument behind Dub Invasion - a festival of concerts, workshops, and screenings taking place this month, mostly in New York but with two major shows at Good Life, a bar, restaurant, and nightclub in downtown Boston. They feature Sherwood on Wednesday and Mad Professor on Sept. 15, with DJ crews from both cities opening. “It’s an opportunity to connect the dots,’’ says festival producer Quoc Pham of New York’s Sound Liberation Front, a group of DJs and music activists. Programming dub pioneers (Lee “Scratch’’ Perry and iconic producer Clive Chin are in the New York lineup) alongside current DJs who specialize in bass-heavy sounds, he hopes to unearth a sometimes-forgotten history. Now dub’s essence has bubbled up from the sonic underworld in the form of dubstep, a dark and bass-loaded style that emerged (of course) in England almost 10 years ago. But as quickly as dubstep grew popular, it also lost focus, spawning everything from Arabic or South Asian-inspired variants to pop crossovers that have orthodox DJs rolling their eyes. But the goal is more than historical. In New York, Chin, Sherwood, and Mad Professor will do live workshops with vintage equipment demonstrating how they came to invent their sounds. And Pham says gathering enthusiasts of different generations and origins under the dub umbrella is a way to foster exchanges that will take the music in new directions as well. In Boston, where dubstep nights - orthodox or crossover - occur regularly at venues like Good Life, Enormous Room, or Wonderbar, the chance to present Sherwood or Mad Professor is a big deal, says Reed Allmendinger, a.k.a. Spliffolian, a member of the local sound system Subduction, who is one of the openers for the Sept. 15 show. 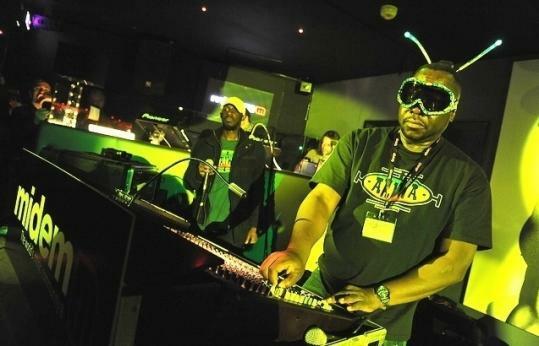 Reached by phone in London, Mad Professor says that the disconnection between dub roots and descendants depends on where you are. In the multicultural, working-class neighborhoods where dubstep emerged, dub had never gone away. The Professor, as he’s known, has a long history as a dub ambassador. “No Protection,’’ his 1995 album-length dub remake of Massive Attack’s album “Protection,’’ is a stellar example of a dub collaboration and probably his best-known project outside the dub underground. In turn, his own work has now been remixed by dubstep producers. Ultimately, he says, genre distinctions are less important than the feeling in the music. And this luminary of technology-assisted music offers a caution for all producers and DJs.